Washington County’s characteristic red canyons and plateaus, along with warm winters have helped define the county. 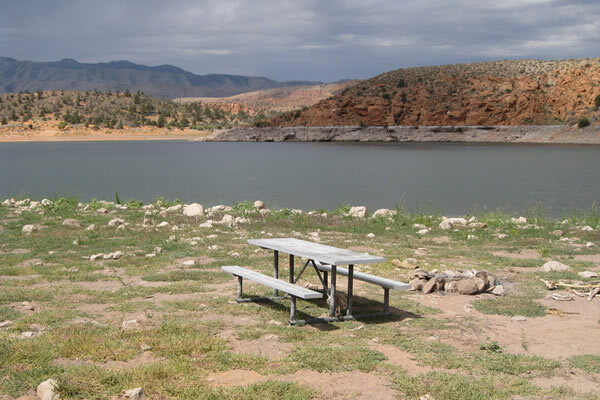 The area was originally inhabited by the early Archaic and Anasazi Indians and later by the Southern Paiutes. 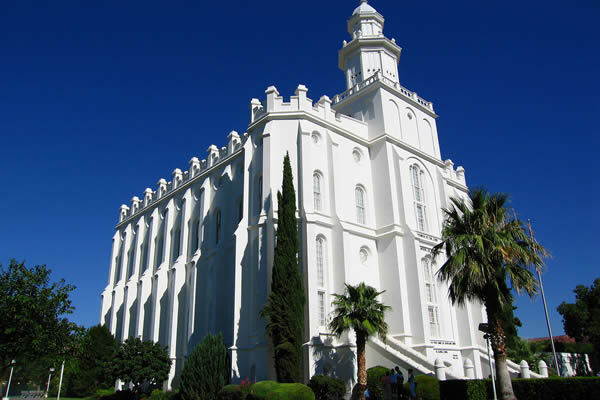 In 1854 Jacob Hamblin was sent by Brigham Young to work with the Native Americans in the area and help establish a peaceful relationship between the Mormons and the Indians. 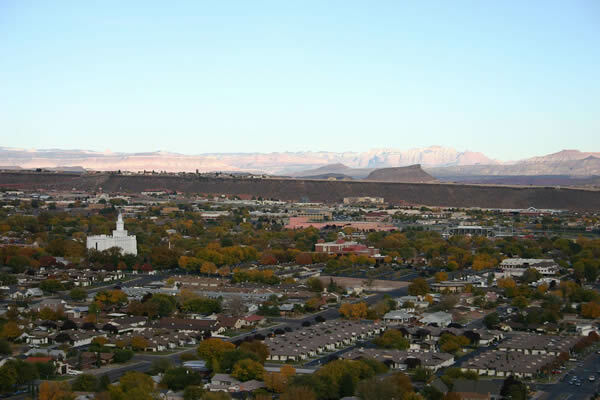 In 1861 about 300 families, who were originally from America’s southern states, were sent by Brigham Young to the St. George area to grow products that work well in warm climates such as cotton, silk, and pecans. 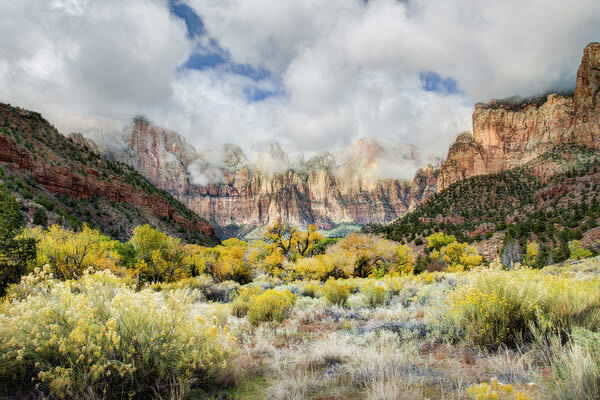 This is when the area became known as “ Utah’s Dixie.” In the late 1860’s silver was found and the mining town of Silver Reef was established. The mine produced over 25 million dollars worth of ore before it was closed in 1901. 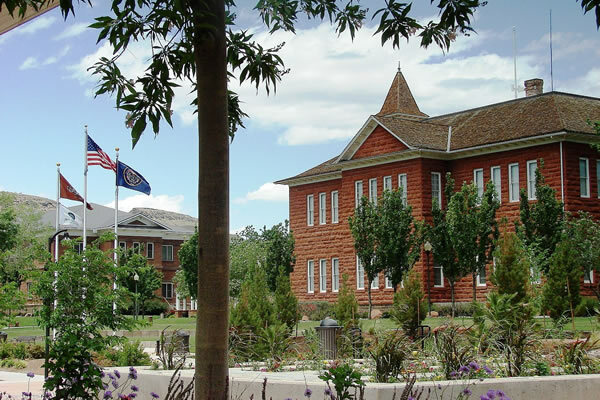 Dixie State University had its beginnings in the early 1910’s with only 42 students. The college has grown to over 7000 students in the year 2000. 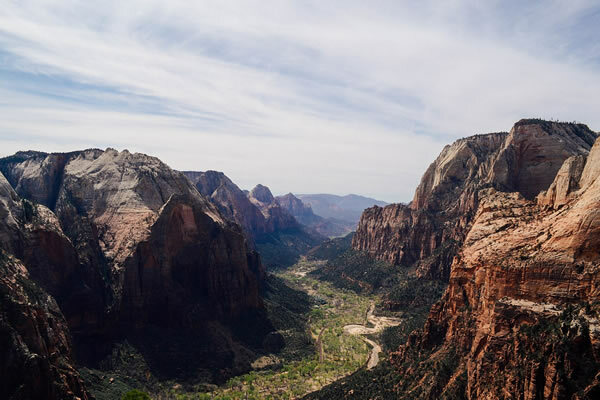 Zion National Park was first established 1909 by a Presidential Executive order and was given the name Mukuntuweap National Monument. 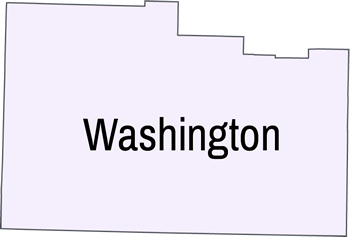 The name was changed to its current name in 1919 by Congress. 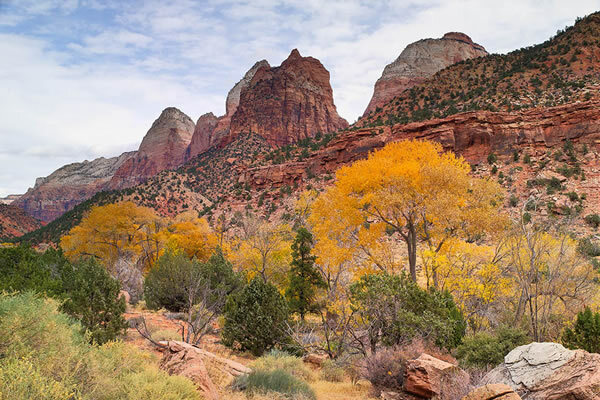 Temples and Towers of the Virgin in Zion National Park. 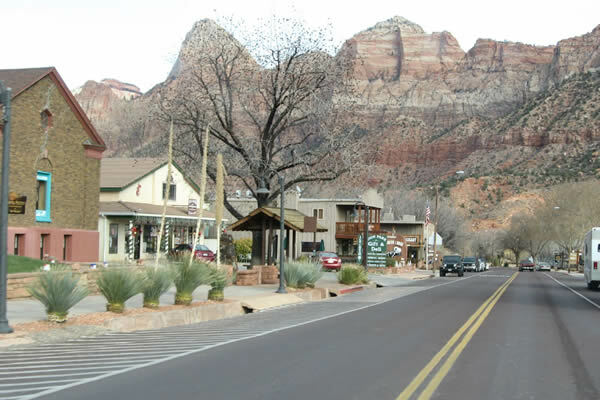 Entrance to Zion National Park. 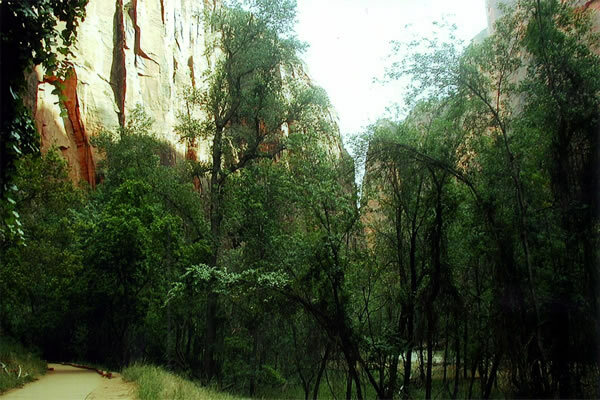 Along the trail inside Zion National Park. 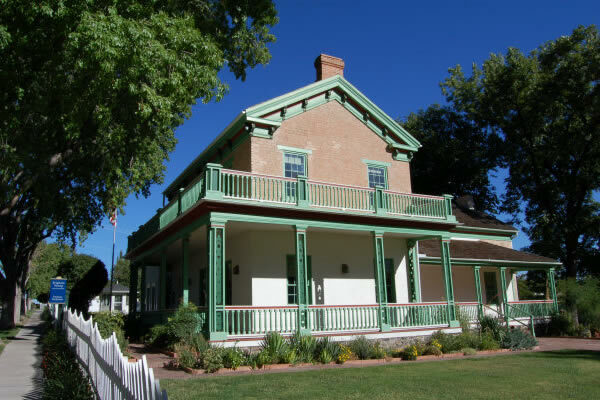 Brigham Young's winter home in St. George, Utah. Woodward School in St. George, Utah. 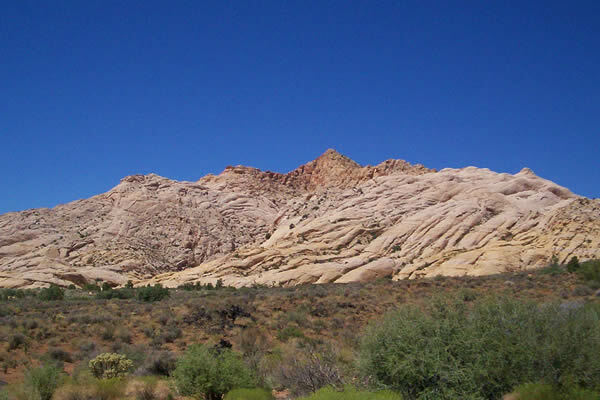 A white Navajo Sandstone in Snow Canyon State Park. 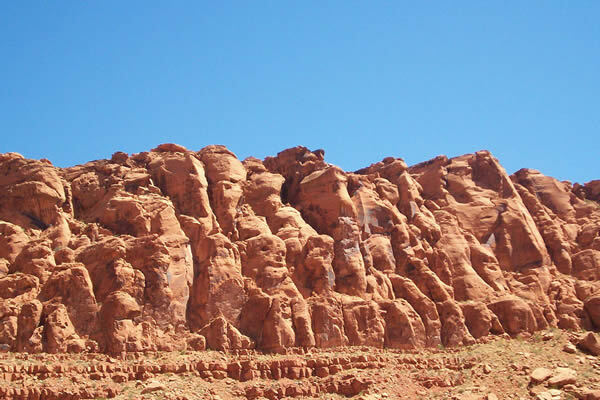 A view of red rock formations in Snow Canyon State Park. 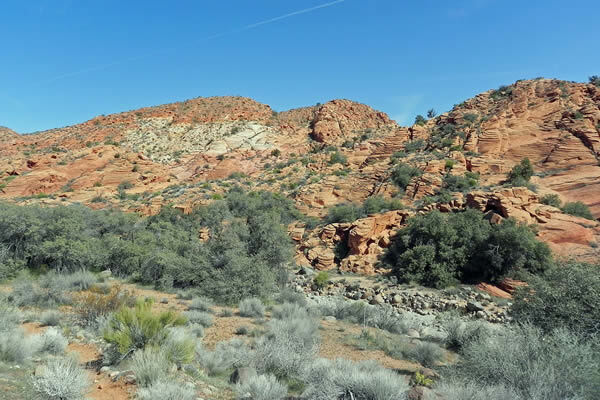 Red Cliffs Desert Reserve north of St. George, Utah. 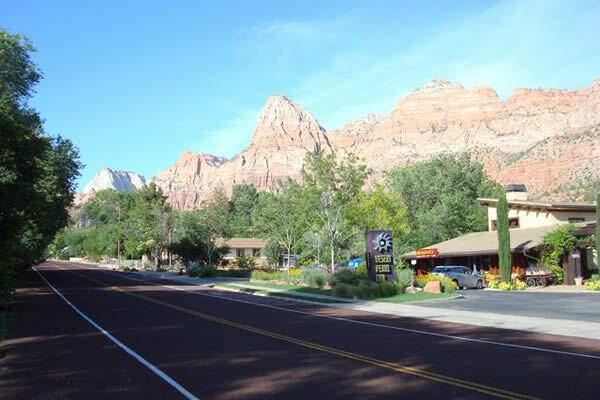 Utah State Route 9 in Springdale, Utah.